It is recommended that candidates review the technical standards found on pages 39-41 of the University of Delaware (UD) Department of Physical Therapy Program Policy Document (see link that follows) prior to submitting their application. NOTE: Meeting the minimum requirements does not guarantee admission. Acceptance is based on academic excellence, GRE performance, evidence of physical therapy clinical experience, the required essay, interview (by invitation only), and letters of recommendation. Graduate Record Examination (GRE) must be taken and scores forwarded to the University of Delaware (School Code 5811). GRE scores older than five years will not be accepted for admission. Verification of 100 hours minimum observing a U.S. licensed or educated physical therapist in patient care. A minimum of 50 hours is required at time of application. A minimum of 100 hours is required at time of matriculation. Three letters of recommendation — two from U.S. licensed or educated physical therapists whom you have observed in patient care (Letters from a family member or close friend will not fulfill this requirement); one from a professor of an upper-level course you took. Completion of prerequisite courses with a grade of C (2.0 minimum) or higher (see list that follows). Completion of the PTCAS application. Please note that PTCAS applicant data of candidates who apply to UDPT will automatically transfer into the UD supplemental graduate application system. After the data transfer occurs, candidates will receive an email from the UD Office of Graduate & Professional Education to create a login, answer a couple of additional questions and pay a $35 supplemental application fee. Please DO NOT create a supplemental account or application prior to receiving the email from our Graduate Office. Payment of UD supplemental fee $35. By invitation, an interview with the admissions committee, which is required for admission. Introductory or General Psychology (3 credits/1 semester): A foundation course in the application of the scientific method to problems of human behavior and experience. Introductory or General Statistics (3 credits/1 semester): Probability; estimation; classical statistical inference; modern decision theory. Introductory or General Biology w/labs (8 credits/2 semesters): Biology of the cell both structure and function. Perpetuation of life cell division, genetics and development. Origin of life and diversity of life. Material also included is the physiology of multi-cellular organisms: fungi, plants, and animals. The biology of populations, including behavior, evolution and ecology. (An Anatomy and/or Physiology course may NOT be used to fulfill this requirement). Introductory or General Chemistry w/labs (8 credits/2 semesters): Matter, the changes that matter undergoes, and the laws governing these changes, with greater emphasis on atomic and molecular structure, chemical bonding, equilibria and energy relationships. Includes one three hour lab per week. Introductory or General Physics w/labs (8 credits/2 semesters): Fundamentals of physics, classical and modern; includes mathematics and problem solving. Calculus or Trigonometry based Physics will fulfill this requirement. *May substitute two-course sequence of anatomy and physiology. 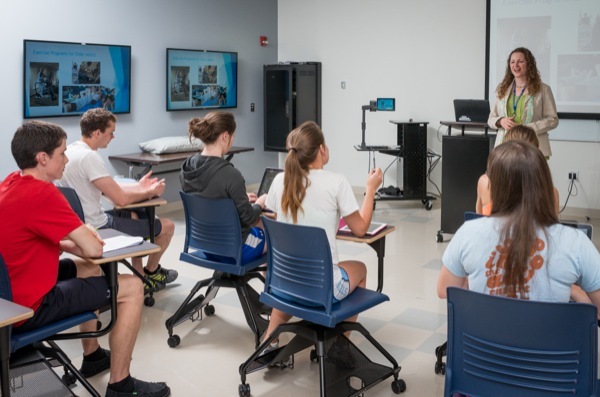 The University of Delaware DPT Program requires all international educational documents to be evaluated by World Education Services (WES), arranged for by the applicant, prior to submission of the PTCAS application. A degree has been earned in a country where English is the primary language. A degree has already been earned in the United States.